Mr. Paul Chan recently retired from VMware as the Vice President of Product Development and has volunteered his time to bring his wealth of experience and help us develop to the next level. We are very grateful for his guidance and time. Dr. John Mar is passionate about medical alleviation issues specifically in South America where he volunteers on medical missions. Dr. Mar advises TFish and helps evaluate our medical programs. He is a physician at Kaiser Permanente. For over 25 years, Ping Chao has been a serial entrepreneur in high technology in Silicon Valley, California. He has been a technology and business leader in the Electronics Design Automation (EDA) industry since its infancy. In 2005, Ping retired from Cadence to become a private venture investor and devote more time to his philanthropic work. Mr. Chao is the visionary behind TFish Fund and developing a discipline of transparency for building capacity in East Asian NGOs. Amy has been devoted to her family and two children and spends her time actively volunteering in church, schools, hospitals, senior centers, and art communities. She is a strong believer that serving the underprivileged can and should be a source of joy for everyone, not just the few. She also believes that non-profit work and volunteering can be rewarding and fun at the same time. 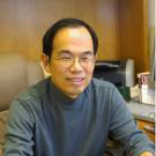 Professor Hau Lee is the Thoma Professor of Operations, Information and Technology at the Stanford Graduate School of Business. His areas of specialization include global value chain innovations, supply chain management, global logistics, inventory modeling, and environmental and social responsibility. He is also the faculty director of the Stanford Institute for Innovations in Developing Economies, and is a co-director of the Stanford Value Chain Innovation Initiative.